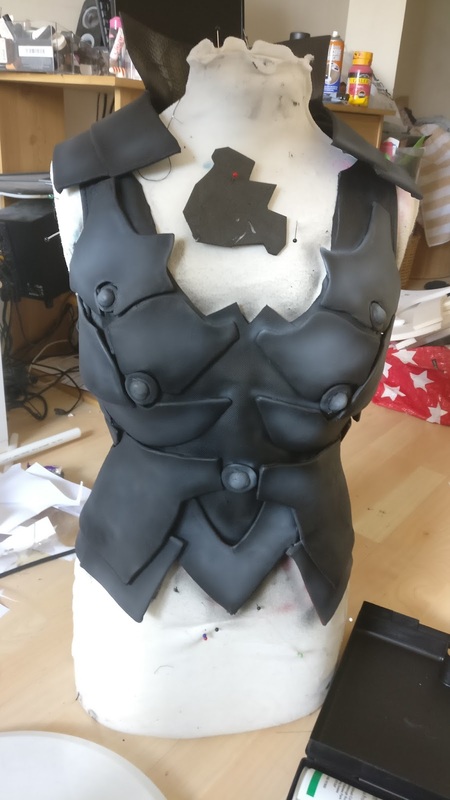 A collection of progress photos taken through out making aranea. 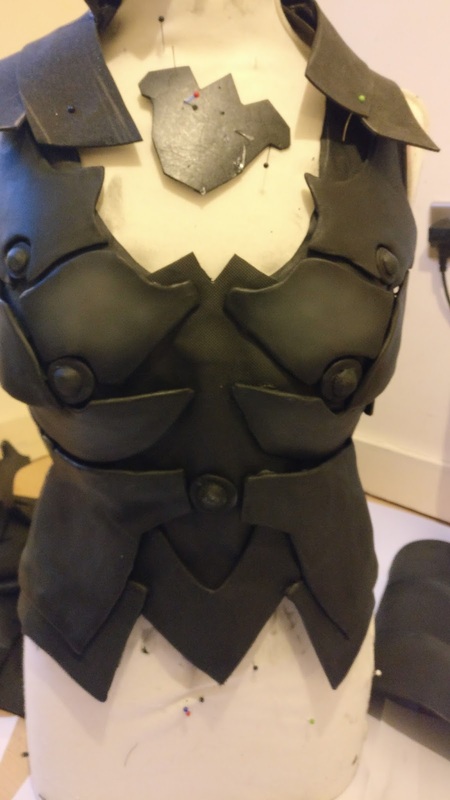 I started out with her armoured top. 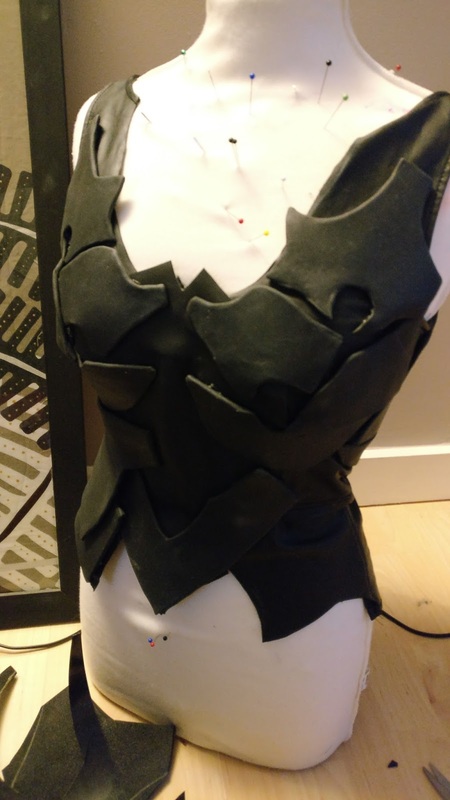 I used a top I already had as a base to stick all the pieces on. 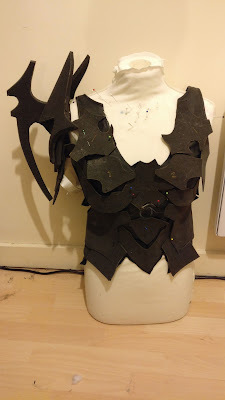 Making patterns for this is probably the most difficult and time consuming bit of the entire process. 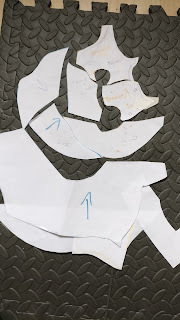 I made my patterns in paper first and then cut them in a 3mm foam and pinned them onto the top. 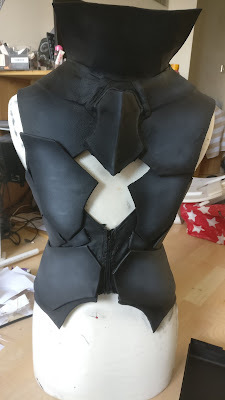 Once in foam it was easier to see if they were the correct shape, I made alterations accordingly to them if needed to improve the fit of them, I also alternated between trying the top on myself and the mannequin to ensure it was going to fit me correctly. 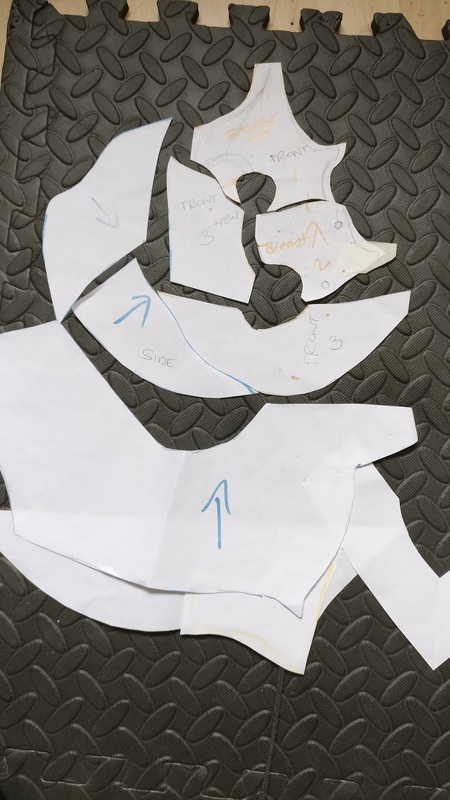 These photos show the pieces tacked on in foam, I also numbered and put markers on them to ensure they are the correct way round as it can get confusing with so many pieces! 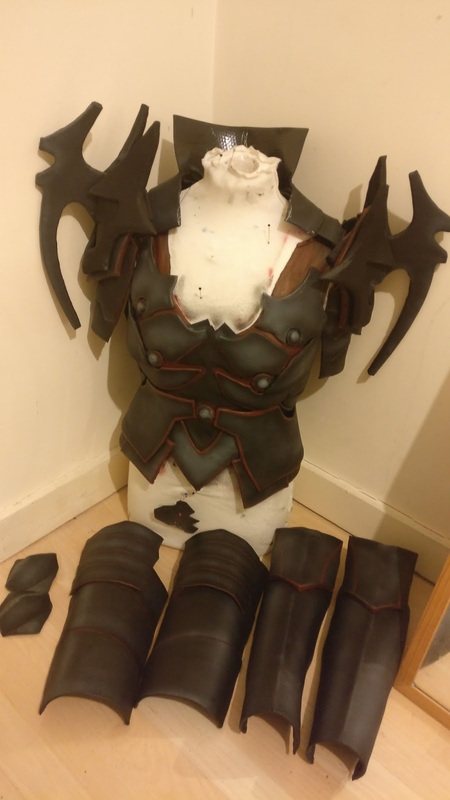 These photos show the pieces covered in worbla black arts. I glued the pieces directly onto the top once I was happy with the shape. Next I cut her pauldron pieces, these are made of 9mm foam. 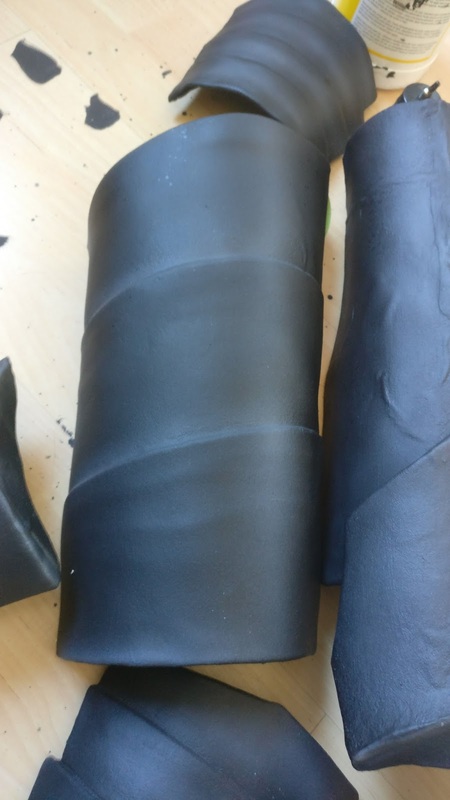 This shows them both covered with worbla and how they look uncovered. I also did the leg armour pieces in a similar fashion, I don't have many photos as they were quite simple in comparison to the rest to make! Back to the top- I started painting. 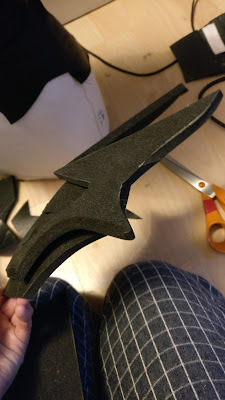 I used several layers of gesso to prime the worbla. 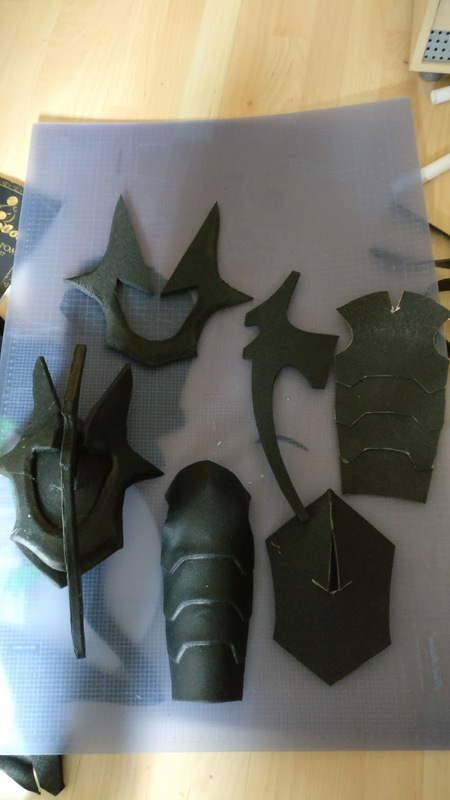 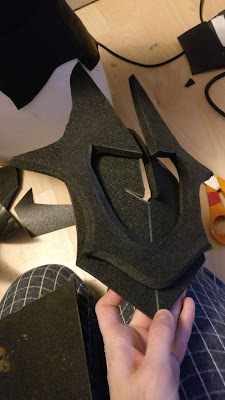 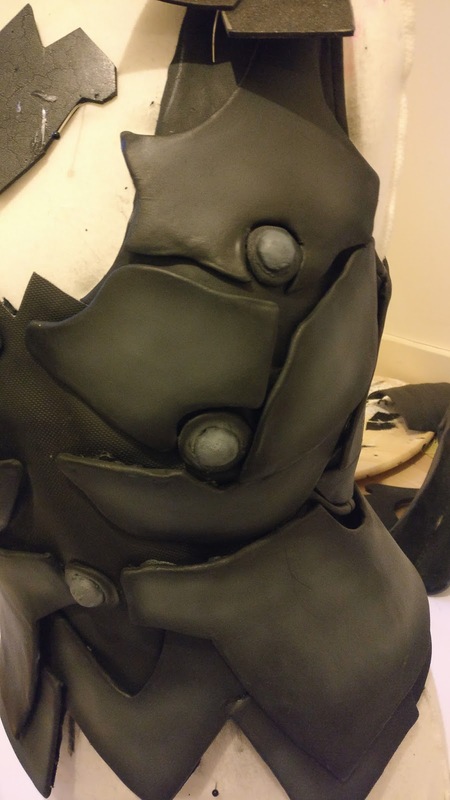 I had planned originally not to use much as worbla black arts is very smooth however I got different batches and the texture was rougher on one so I had no choice but to prime the whole thing. 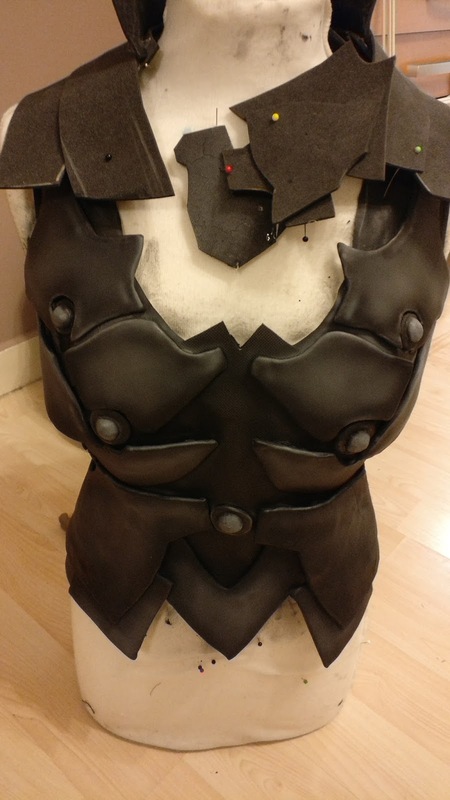 After primer I painted the pieces black and then added some highlights with airbrushing. Here's some closer images of the shading and also the collar in process of patterning. 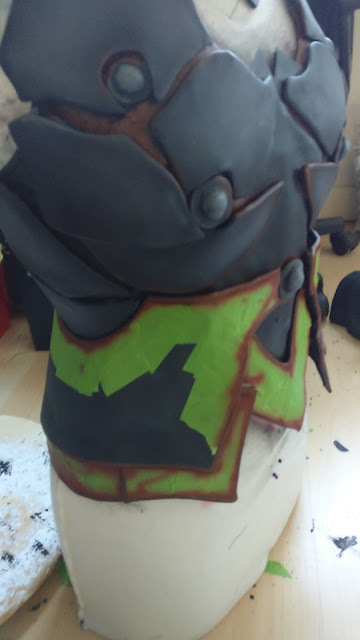 I also masked off the top after painting to add in the red along the edges of the pieces. This is currently where I am upto with aranea, I will add more as I continue! 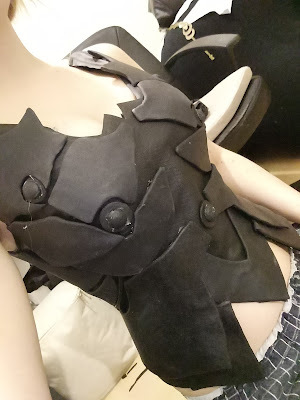 Wow amazing work! thanks for sharing it!